Local law enforcement agents say they have identified the body of one person listed as missing in Scioto County. However, Portsmouth Police Chief Robert Ware as well as Scioto County Sheriff’s Office Capt. John Murphy both confirmed this particular case is not the only missing person investigation underway locally, although Ware and Murphy added they could not give an exact number of missing persons without putting in some research. “We have some active cases where we never found the person,” Ware said, confirming, as did Murphy, not all the talk of missing persons locally is merely rumor or social media chatter. The Scioto County Sheriff’s Office said Tuesday morning human remains discovered in Wheelersburg Thursday are those of Rebecca Lee Kerns, 26, who was reported missing to the Portsmouth Police Department in October. The sheriff’s office said they received confirmation of the identification on Sunday from the Montgomery County Coroner’s Office. Surviving family members were notified by the sheriff’s office Monday. The sheriff’s office reported they received a call from an individual, whose name has not been released, but who believed they had found human remains in a field located in the 5400 block of State Route 522. Sheriff’s deputies along with Portsmouth Police detectives and an agent from the Ohio Bureau of Criminal Investigation and Identification (BCI&I) all responded to the scene. The remains were located in a wooded area next to the field alongside SR 522, according to the sheriff’s office. In a press release, Murphy said the ongoing investigation will be handled jointly by the sheriff’s office and Portsmouth police. He further stated that investigation will concentrate on discovering how Kern’s remains ended up in Wheelersburg. Ware said Tuesday Kerns’ cause of death was not yet known, adding it may never be, depending on the decomposition level of the body. He said any blunt force trauma suffered by Kerns might remain obvious but noted other forensic evidence might have been lost to time and the elements. Ware believes there are a number of social factors which seem to contribute to persons going missing locally, among them poverty, a possible lack of formal education as well as drug abuse. According to Ware, Kerns was known to have a substance abuse problem. Ware stated, as many may know, possibly the most infamous unsolved missing person case in the area involves Megan Lancaster, who disappeared from Portsmouth at the age of 25 in April 2013. Lancaster was even the focus of a cable TV documentary which aired in 2017. The documentary alleged Lancaster was a drug addict and prostitute before the age of 18. 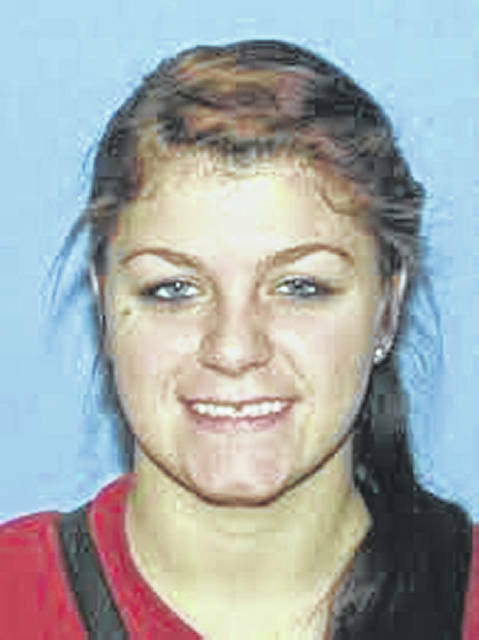 According to a 2017 Daily Times story missing person or unsolved murder cases in the local community (which in this instance encompasses Ross and Scioto counties) include Melissa Blevins, who went missing in February 2010 at the age of 31; Kayla Eitel, who went missing January 4, 2016; Jennifer Shepherd, whose body was found in Pine Creek in Wheelersburg in June 2013; Angela Holsinger, who has been missing since May 1998; and Nichole Alloway, a North Carolina woman who disappeared from Scioto County in June 2009 before her body was found a month later off SR 73 in Otway. One arrest reportedly was made in connection with Holsinger’s death at the time. However, that person was not charged with her murder. It is not clear how many of the cases listed in the 2017 Times article remain unsolved. According to that article, the missing or unsolved listed are only those cases which had been identified by the Attorney General’s Office of Ohio or local family members. Murphy encourages anyone with information regarding Kerns to contact Detective Adam T. Giles at (740) 354-7316. He stated all information will be kept confidential and anonymous.